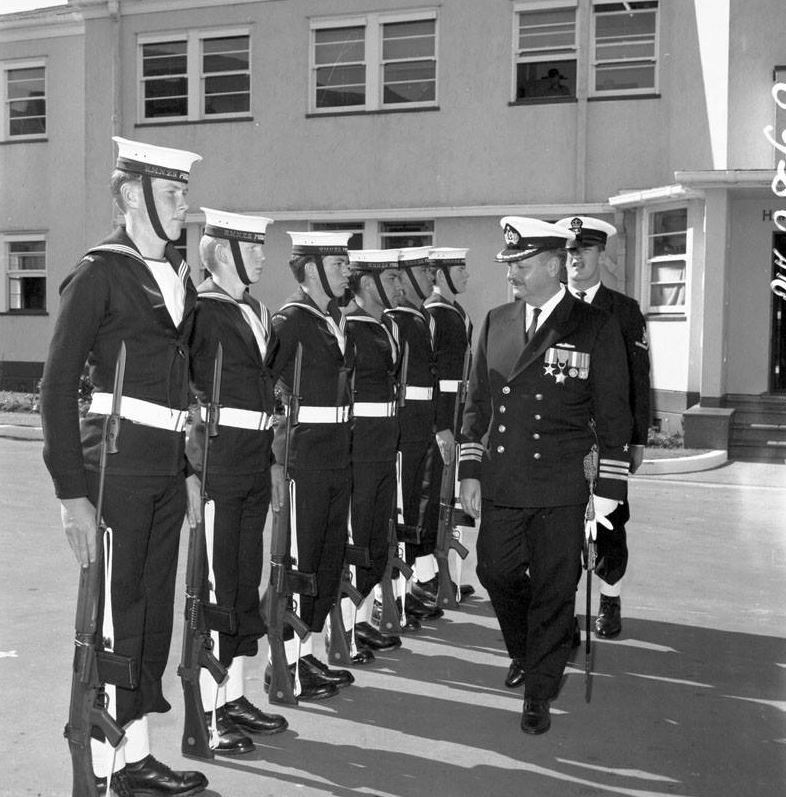 Here is an image for sailors from 1966 January intake. The parade is held in PHILOMEL which might indicate that it was taken at the end of 1966 on completion of training. Maybe someone can put names to missing sailor and advise who the Inspecting Officer was. Bill Morley is the one badge Petty Officer. From L-R Bruce Miller (Sparker), Laurie Coggins (Sparker), Frank Brown (Stoker), Jim Roberts, Marty Hayward (Sparker), ? Looks to me like a Quarter Guard for a visiting CO, Esmeralda perhaps. They’re wearing No1s, so must be winter. No branch badges?